Our friends at the Environmental Working Group have put together a new video about the ingredients on the labels of personal care products. Ever looked at the labels on your shampoos, moisturizers and cosmetics? 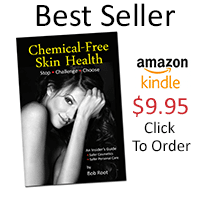 Do you really know what chemicals you’re putting on your body? Most Americans use about 10 personal care products a day. And they think that the government is making sure these products are safe – but the scary truth is, it’s not. That’s why Environmental Working Group scientists have put together easy-to-use tips on how to read labels on personal care products. Check out the new video featuring EWG’s Senior Analyst Nneka Leiba on what to watch out for before you buy.